British hard rock band, WRAITH, to release their new album 'Revelation' on August 4th, 2017 via Ice Rain Records / Cargo Records. 'Revelation' is produced and mixed by legend Neil Kernon (Dokken, Qeensryche, Shy) and mastered by Andy Sneap (Accept, Kreator, Machine Head, Megadeth). Peter Way (UFO) is co-writer on 'Under The Hammer' and this song was mixed by Mike Fraser (Whitesnake, David Coverdale, Blue Murder). 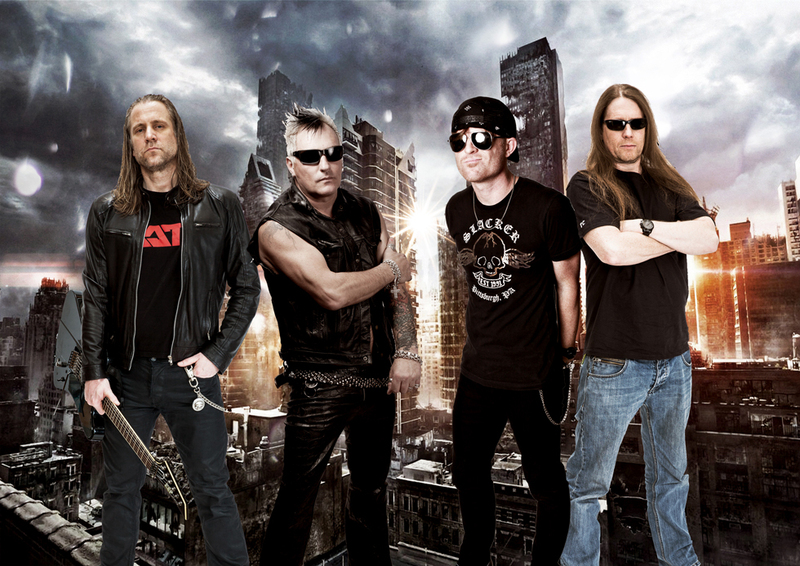 The album artwork was made by Tristan Greatrex (Ufo, Vinnie Moore, Lionheart, Paul Raymond, Michael Schenker). Guests on the album: Pete Way - Bass (UFO), Kim Nielsen � BBass (Phantom Blue, Asia), Steevi Jaimz - Backing Vocals (Tigertailz), Tony Mills - Backing Vocals (SHY, T.N.T). Hailed as “the new N.W.O.B.M" for the British Hard rock scene, WRAITH had an illustrious and successful career playing to capacity crowds and even having LEMMY KILMISTER (Motörhead) dropping in and giving his seal of approval on the debut album “DANGER CALLING”. Gregg Russell, to quote: "I still felt that we hadn’t created "the" album yet, the ultimate WRAITH, so I set about recording all the material I had amassed, with a much more, "in your face edge". The latest and most powerful WRAITH album REVELATION, has been three years in the making and is to be released in August 2017. In part 2, Scots-Australian vocal giant Jimmy Barnes (Cold Chisel) celebrates 30 years as a solo artist with songs from his new collaborative album 'Hindsight', which features powerful renditions of his hits, on which Jimmy is accompanied by an all star cast of musical friends (including Little Steven Van Zandt, Joe Bonamassa, and Journey's Neal Schon and Jonathan Cain) and members of the Barnes clan. Jimmy gives the low down on the recording of 'Hindsight', and outlines his touring plans. And finally, guitarist and songwriter Rob Bendelow of Saracen talks the writing and recording of new album 'Redemption', which sees the band delivering a fine brace of epic Hard Rock songs in their trademark powerful style, as you'll hear on Rob's choice of tracks from the record.